Jilliann Tate (née Sexton) is a proud “Double Deac,” having received her undergraduate and law degrees from Wake Forest University. She practices in the areas of insurance defense, general civil litigation, and appeals. She has represented clients in depositions, motions, and hearings in multiple North Carolina counties. She has also represented clients before professional licensing boards. Prior to joining Davis & Hamrick as an Associate, Jilliann interned at Davis & Hamrick and assisted with numerous insurance defense cases. 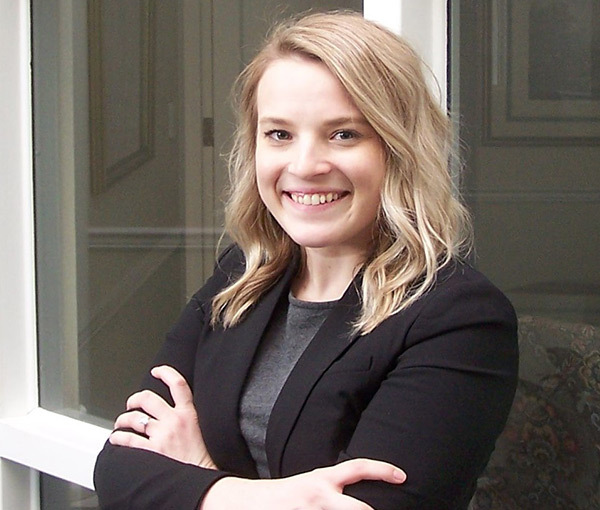 Jilliann is licensed to practice in North Carolina state courts as well as the United States District Court for the Middle District of North Carolina. Jilliann lives in Winston-Salem with her husband, John ("Beau") Tate, and their two dogs.